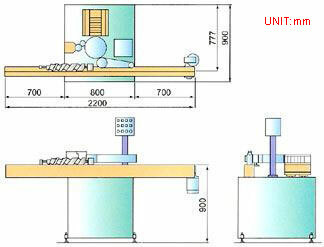 It is very troublesome to replace eachtime when the specification of the labels differ, in order to reduce this kind of inconvinience, we have develped this automatic labelling machine which only requires a minor adjustment and replacements of a few parts to solve the above mentioned trouble. 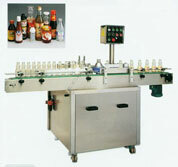 It saves your production cost and is very easy to operate. 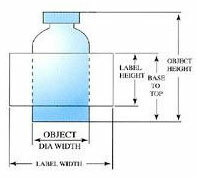 It comes up with a fast and unified production to ensure a refined outlooks of the bottles to be labelled.Machine cover and conveyor plate are made of stainless steell, so that there will be no rusty and you can be assured of its durability and a clean working machine.